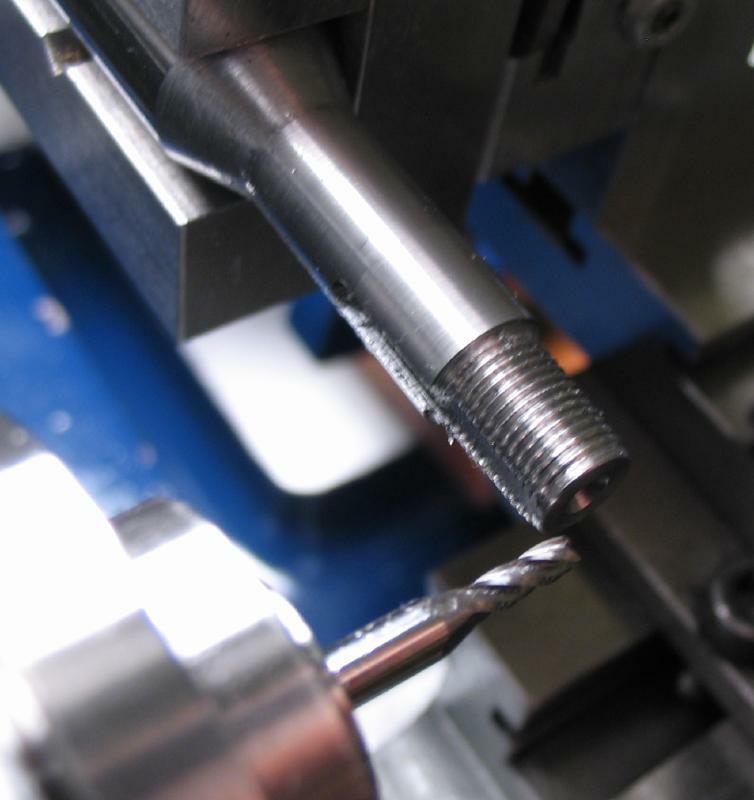 Lathe makers usually offer a means of center turning using the tailstock. 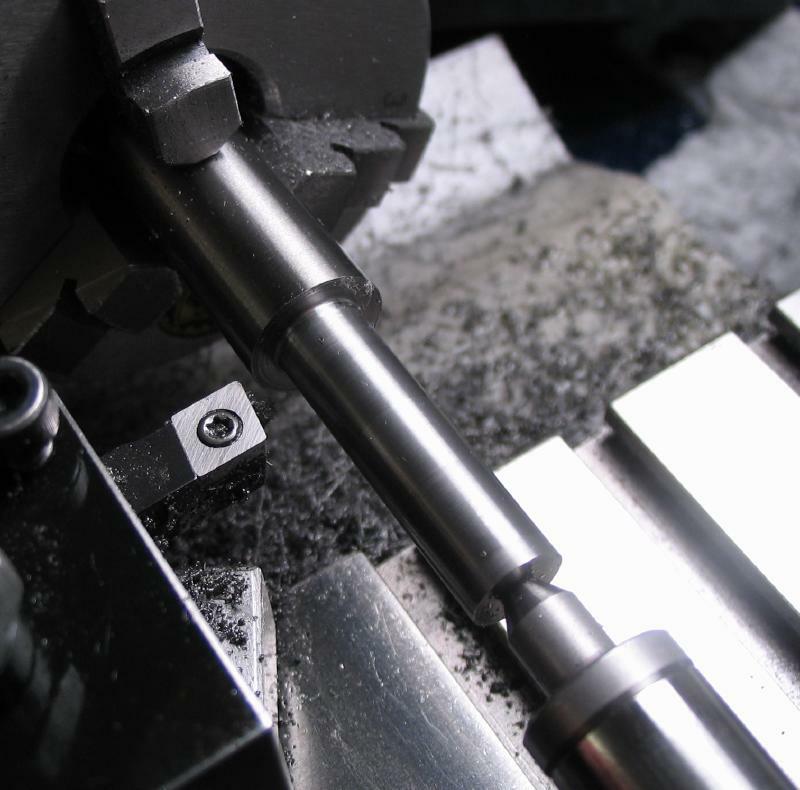 The shape and dimensions of the center need to mate with the work and provide clearance for the cutting tool. 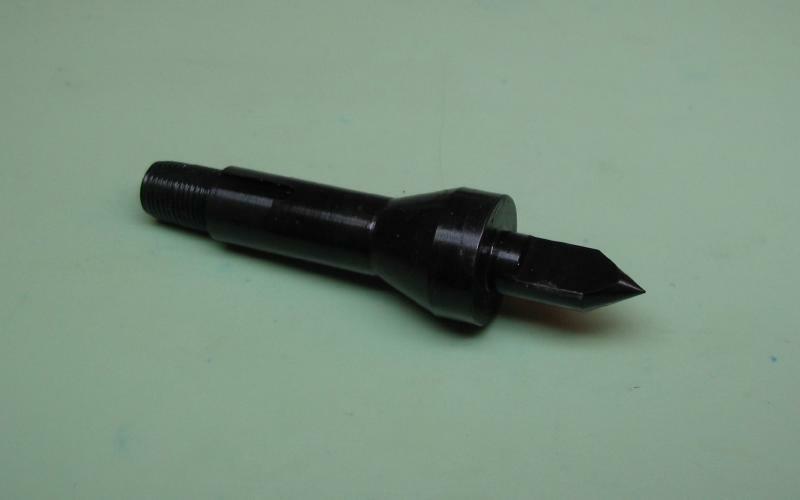 The most common being a 60° angled male point that matches center drilled work, and its opposite, a 60° tapered hole for work with a turned point. 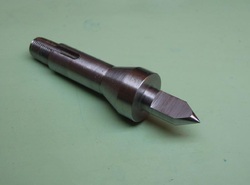 Cowells offers a male and a female 60° hardened center on a collet type shank for the 90CW lathe. They also offer the rotating male center. Often a special shaped center will be needed to suit the work, for example, a "half center" is needed when facing center held work, or simply when turning close to the tailstock with small diameter work. 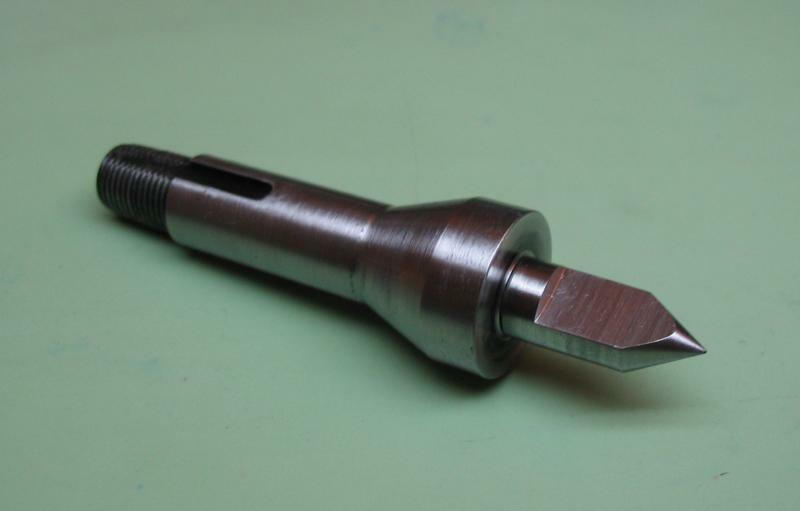 The first center described on this page is a 60° degree male, half center with collet shank. These can be made in various diameters to suit various sized work. 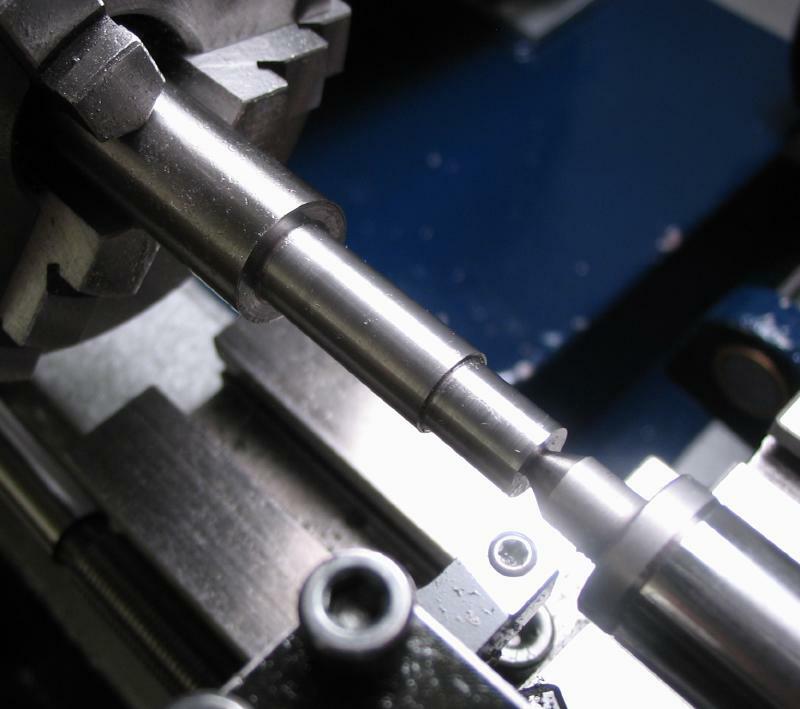 I have described the process for machining the shank dimensions of a B8 collet several times on other pages of this site, but for the completeness of this page, I will show the basic steps involved. 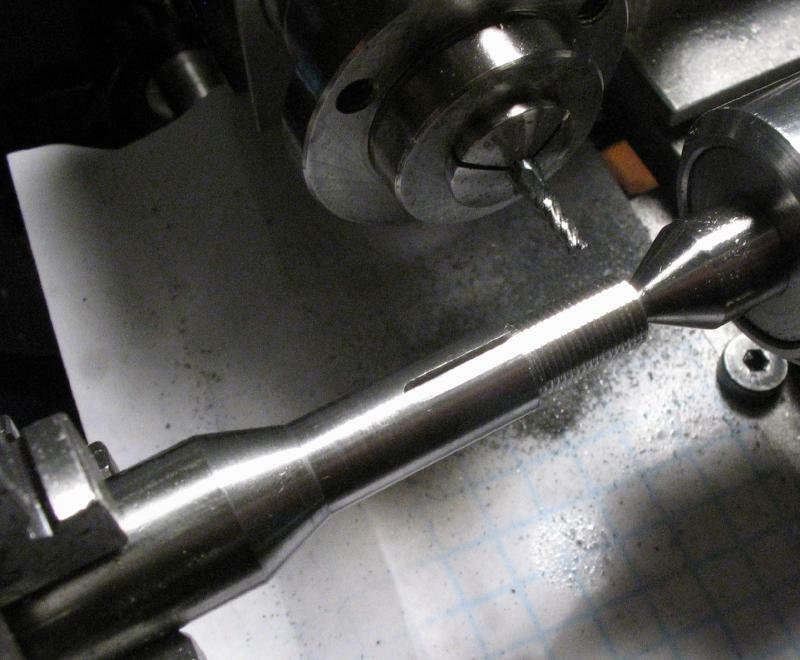 I use a Schaublin B8 collet as a general reference for dimensions and to compare while turning. 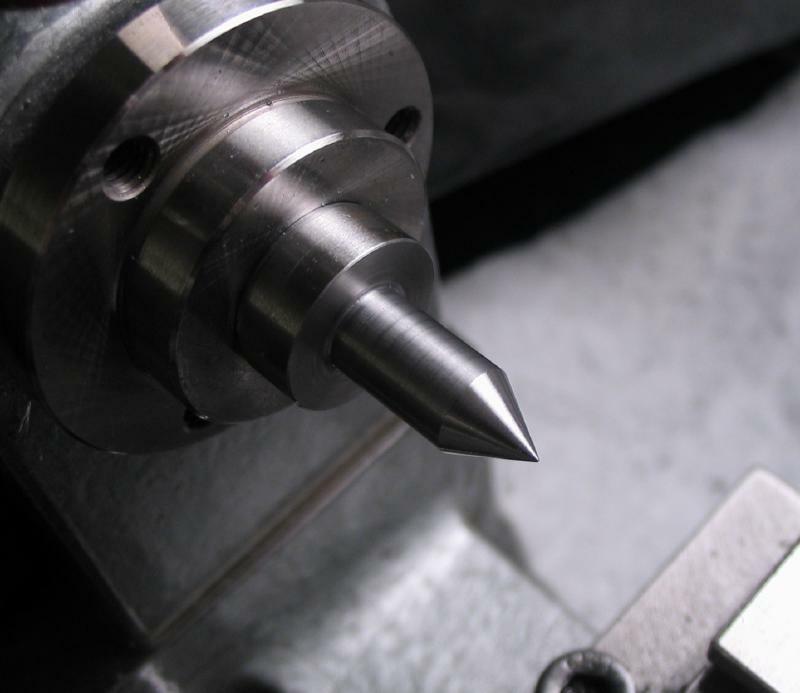 The tailstock quill is ½" in diameter, so it is a convenient full diameter to start with for most tailstock accessories. 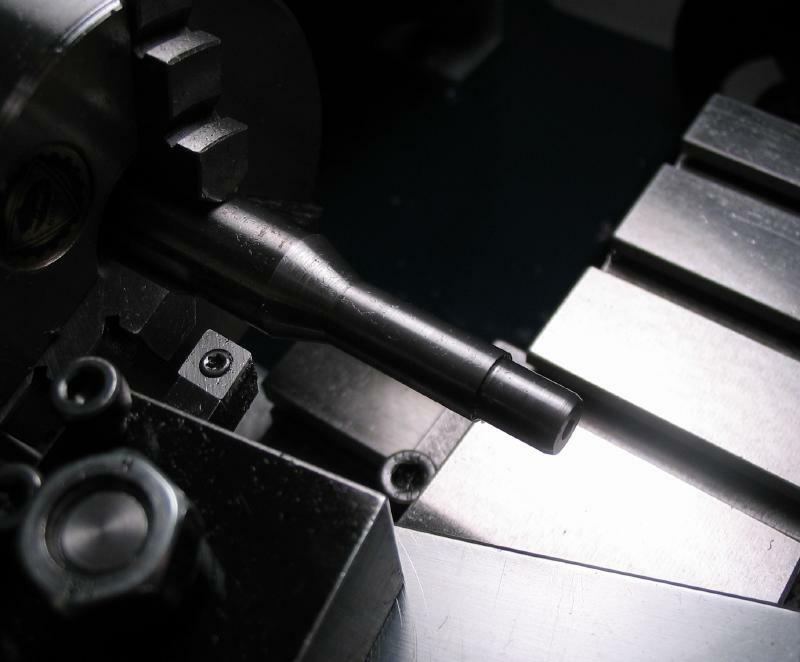 A length of ½" O-1 oil hardening steel rod was prepared. The rod was faced on each end using steady rest support. 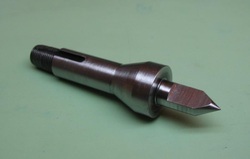 It was center drilled and with tailstock support, turned to 8mm for a length of 28mm. 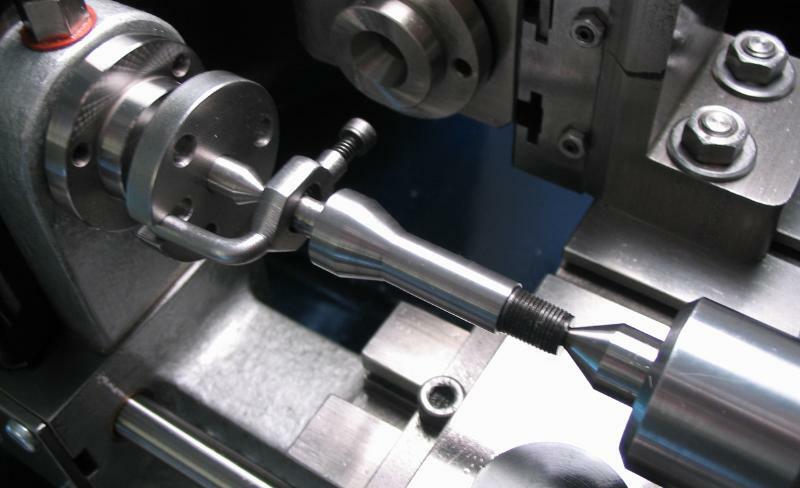 The portion to be threaded was turned to 6.82mm for a length of 9mm. The head of the shank is given the 20° taper, and the end chamfered to assist the die. The end is threaded with a B8 die (custom made to 6.82x0.625mm). 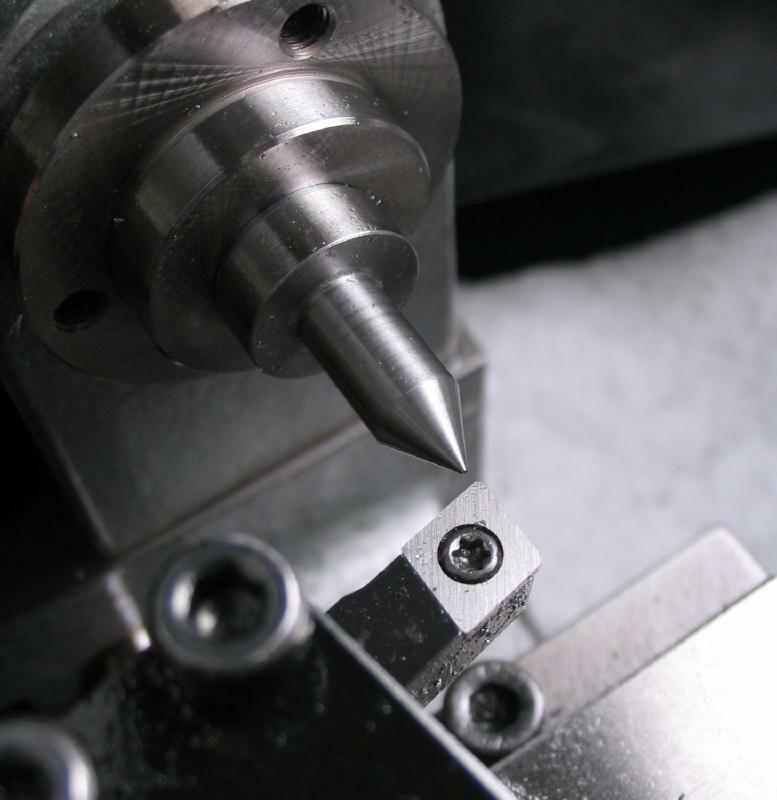 The work is transferred to the machine vice and a keyway milled with a 2mm endmill. This completes the 'collet shank'. 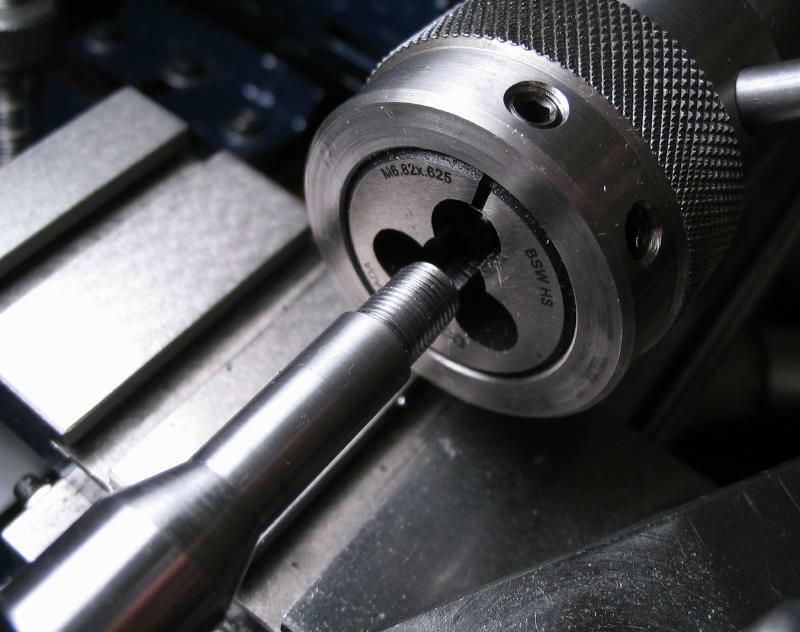 The slot can also be milled while still mounted on the headstock. 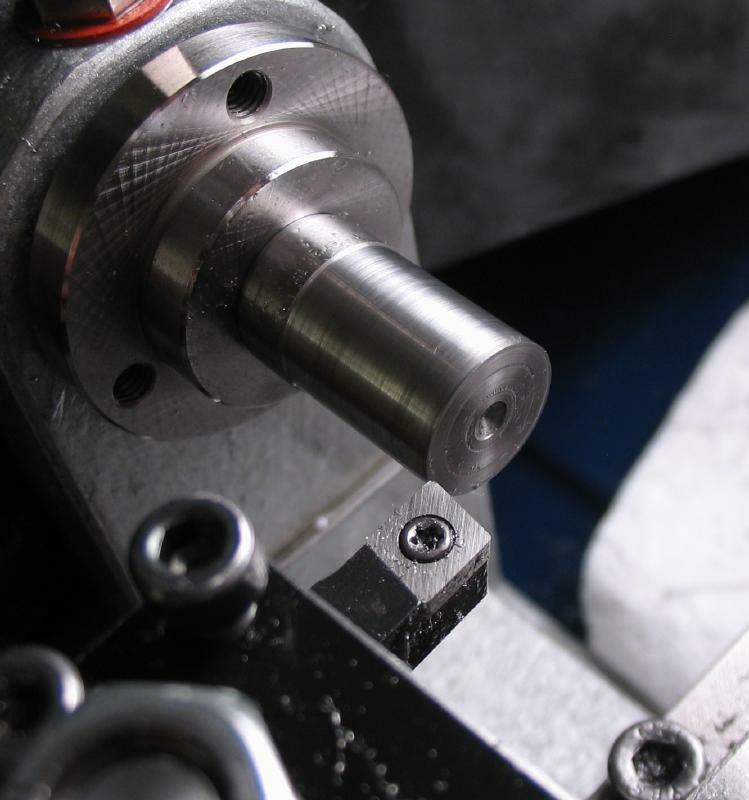 The headstock is locked and the milling spindle is mounted on the vertical slide. 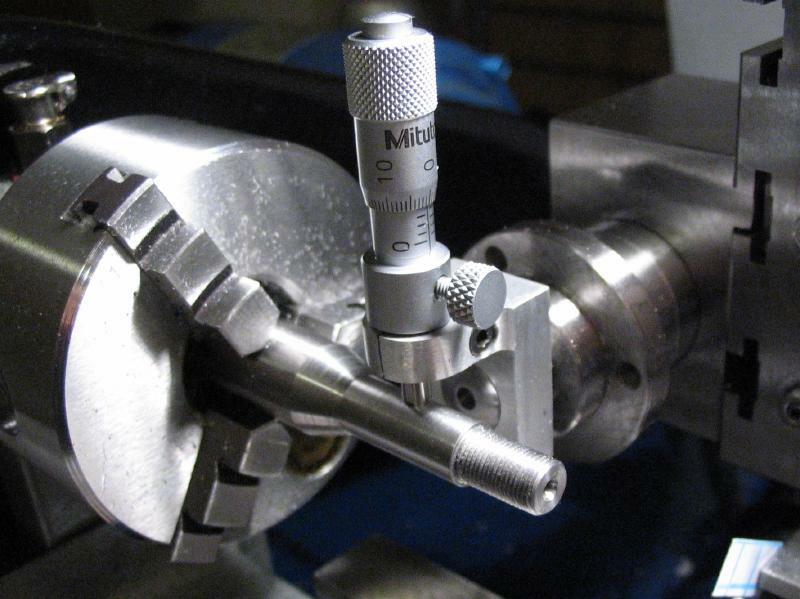 The centering micrometer was used to center the milling spindle on the 8mm shank body. One may note that the threaded portion of this shank was a bit longer and this seems to be fine as long as the drawbar has threads that accept it. 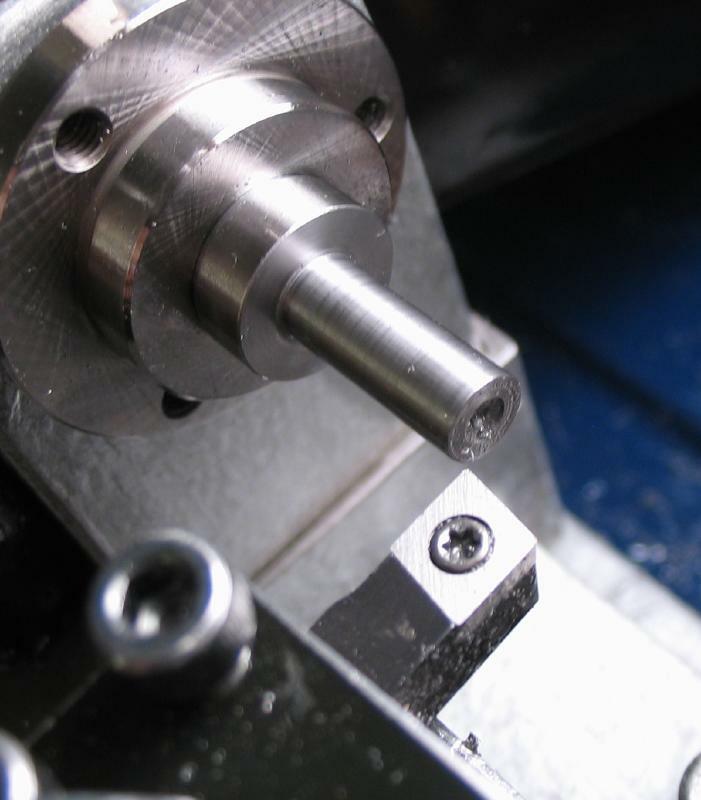 The work can now be mounted directly in the headstock spindle with the drawbar. It was reduced to 6mm in diameter, and with the compound slide set to 30° the end was turned to a 60° point. The work was then mounted in the dividing head which was mounted on the vertical slide. The orientation of the work needed to be such that the resulting flat would be in alignment with the keyway. 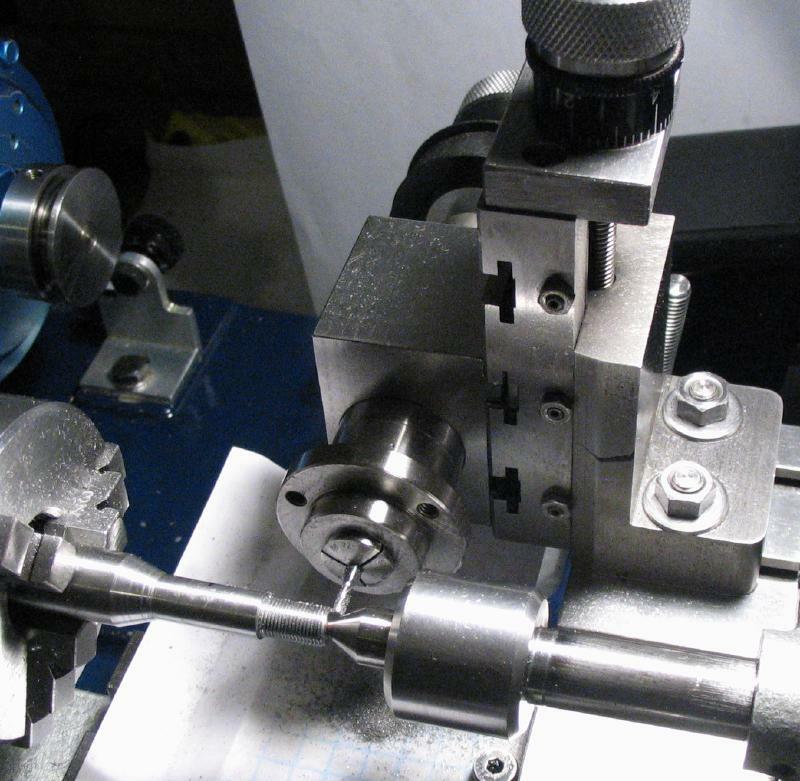 This arrangement is specific to the Cowells tailstock, and is such that the flat will be perpendicular to the lathe bed in use. 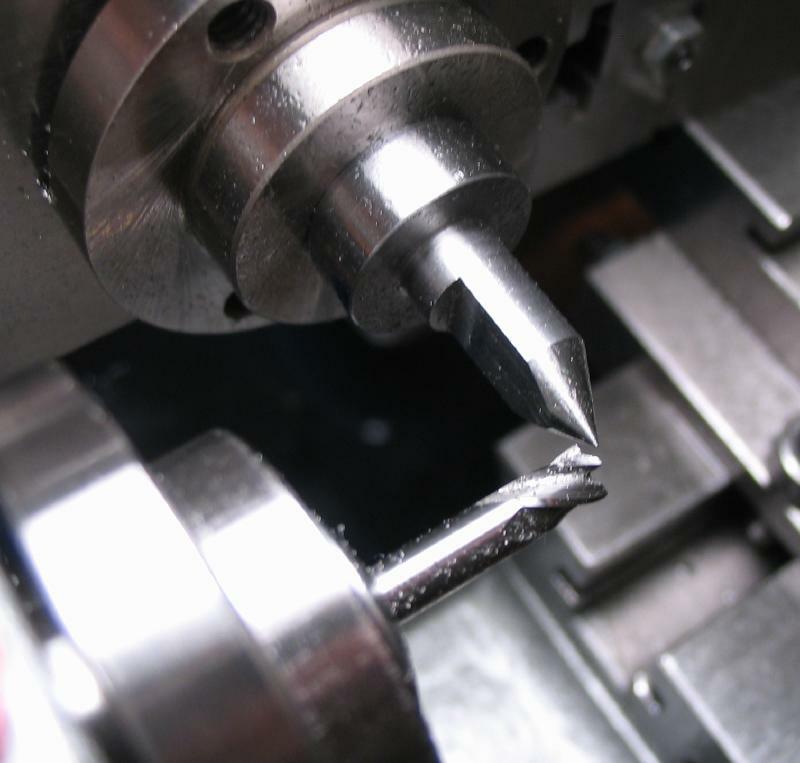 The flat was milled using a 1/8" 4-flute carbide endmill, removing approximately 30%, i.e. the resulting 'diameter' is about 4.4mm (6.35mmx70%). 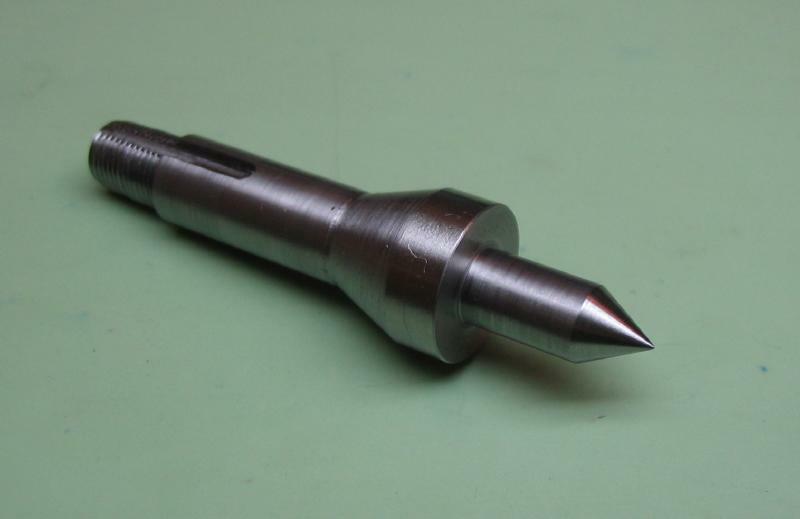 This keeps the center point intact, and will mate well with the cone produced by a #0 center drill. 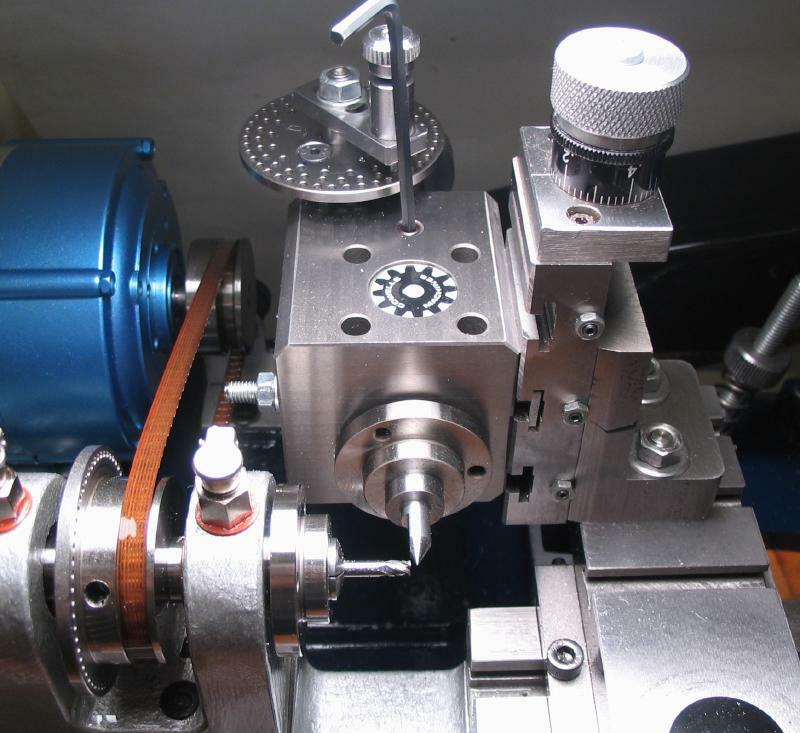 Work can then be faced while still using tailstock support. Tool marks can be removed by stoning the flat on an oilstone slip. The center was then wrapped in stainless steel wire and heated with a propane torch to redness and quenched in oil, the result of which is hardness and a blacken finish. The shank was repolished by mounting between centers on the lathe and using the catch plate and a dog attached to the work. Fine India stone followed with hard Arkansas slip stones provided a decent finish. The center could be mounted directly in the headstock to repolish the tip. Polishing was kept to a minimum since removing material by hand is less than accurate - some sort of tool post grinder would probably be a more accurate route to consider. Another half center turned to 3mm in diameter.